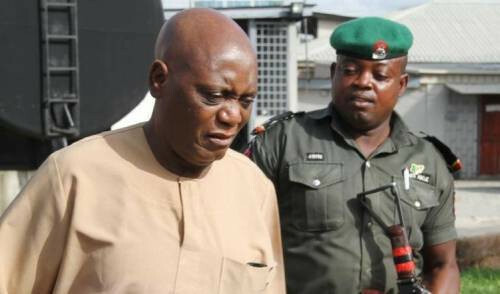 The Federal High Court in Lagos has sentenced a former Independent National Electoral Commission ( INEC ) Administrative Secretary in Kwara State, Christian Nwosu and a former INEC official Mr. Tijani Bashir, to seven years imprisonment. Both men were sentenced for allegedly accepting N264m bribe offered by former petroleum minister Diezani Alison-Madueke, to compromise the 2015 elections. The Federal High Court in Lagos yesterday convicted both men after finding them guilty.